Authentic Antique Edwardian Lace and Cotton Day Dress with gorgeous details. Beautiful handmade lace, chevron style design in the lace over collar, large rosette style lace panels running down the front, flattering pin tucks, a fine semi sheer white cotton. Fastens up the back with handmade crocheted buttons and hook and eye. 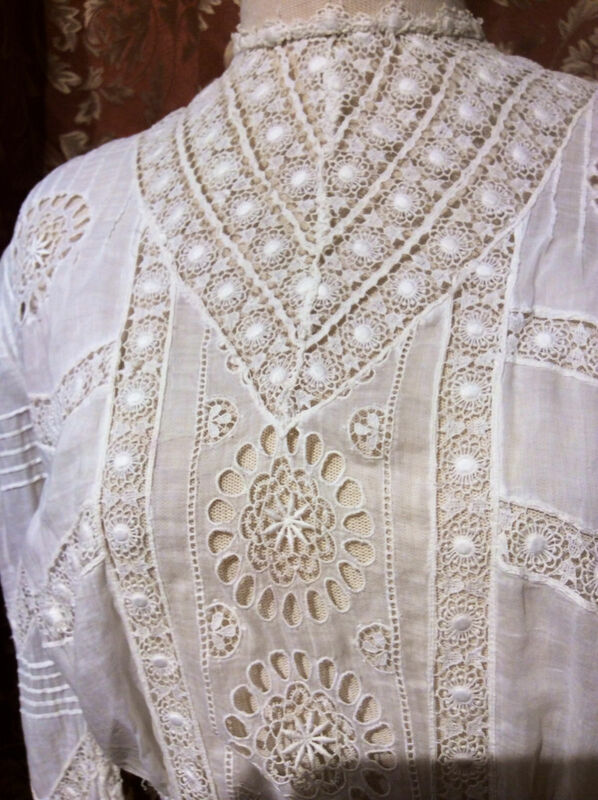 ¾ length sleeves edged in lace. 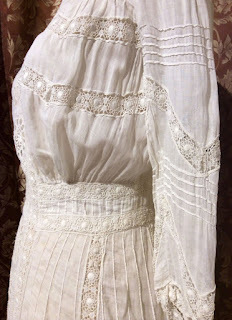 A line skirt. 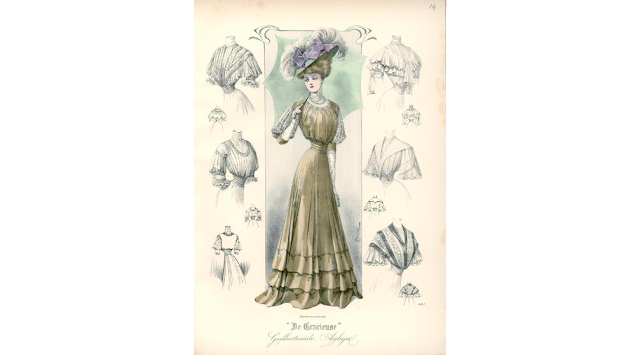 Dress is in excellent antique condition. 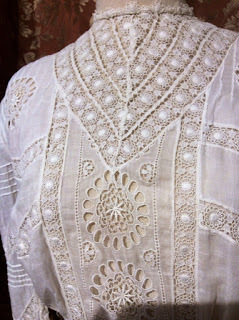 The cotton is strong and supple and the lace untorn and whole. 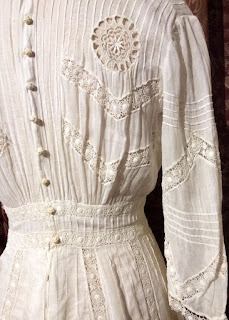 There are a few minute flaws: one eighth of an inch hole in the front and two 16th of an inch holes in the front left side of the skirt (see photos), a few very pale stains of the same size lower down near the hem. Otherwise the dress is in near mint condition for it’s age. Has been laundered and is ready to wear. The shape of the neckline and the way it's gathered at the waist make me think this is about 1907/1908.